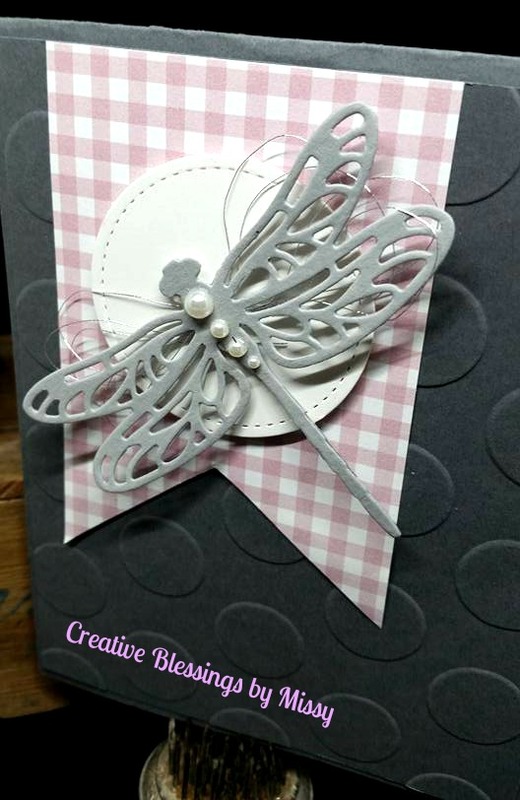 Creative Blessings by Missy: Dragonfly Dreams! No stamping on the front, but we stamped the greeting and some other images on the inside and the envelopes. Love these colors together- Basic Gray, Smokey Slate, Whisper White and Sweet Sugarplum, with a hint of Silver. Don''t forget- only 10 days left of Sale A Bration- make sure to place your order before the Free product is gone! New Free Product - Going, Going, almost Gone!